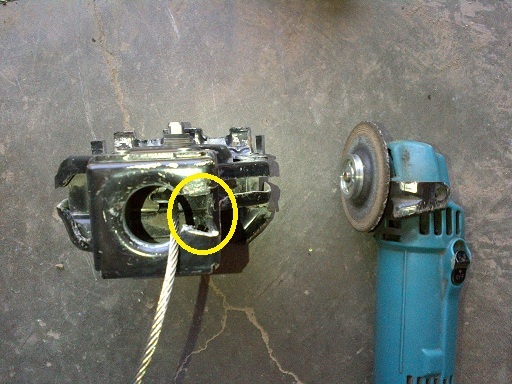 There is a lot of information about the Chevrolet spare tire secondary latch, but not much information on how to keep it from happenning again, greasing this thing every month is still no solution. 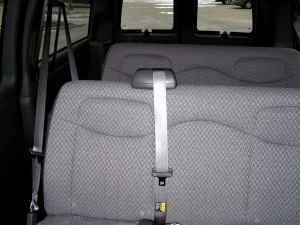 If you have a chevy express, tahoe, silverado and probably a few other models, you have this problem, and you won't know it until the worst possible time. I spent three hours getting the spare tire off of a chevy. Once done, i was not going to put it back up as it was, I wanted to ensure I would never spend 3 hours like that again ! 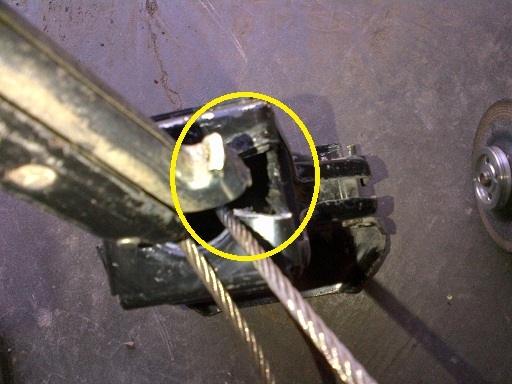 The fix is quite simply to grind off a spot for the secondary latch to "slip" through, so that if it is stuck in the out position you can still get the tire off by rotating the secondary latch until it finds the hole you've cut in the retaining ring. 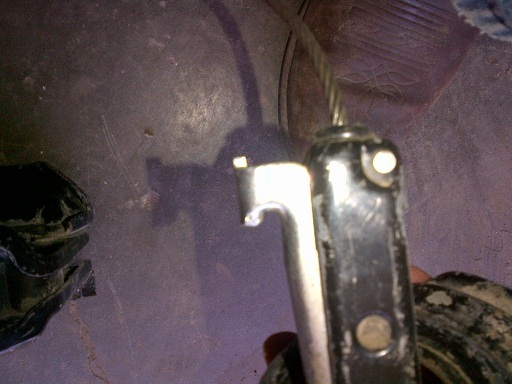 When putting the tire back up, just turn the secondary latch 180 degrees so that if the cable breaks, the secondary latch will still do it's job. 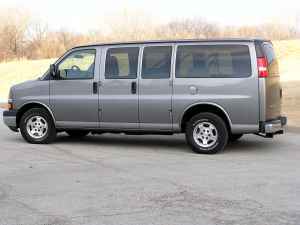 The Fleet of vehicles has expanded with a 2006 Chevy Express Van, 1500. What I needed was a reliable, large people mover. I stumbled across this vehicle for sale at ICOP, a Lenexa Kansas based company (i'm always amazed at the companies I find head-quartered around Kansas City). 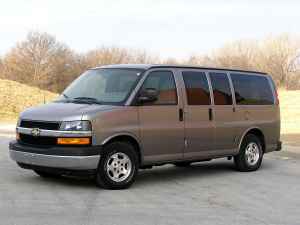 This is an All Wheel Drive Van, with dual doors, tow package, Rear Air and heat, 8900 miles. Drives like large luxury car, excellent, Wife is happy and I may be able to preserve my sanity on long trips. 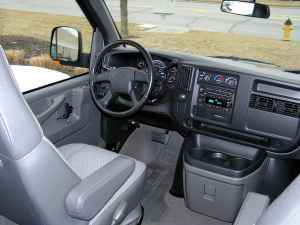 It's got the basic interior of Cloth and bench seats, but with young kids - that is what is needed. For long trips we'll be adding the DVD.